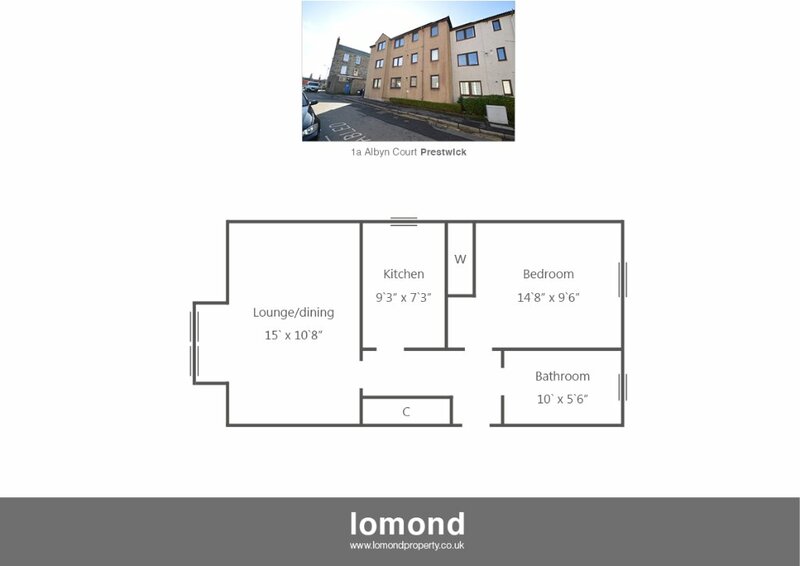 An excellent opportunity to purchase this attractive town center purpose-built apartment. The property is located on the ground floor of this modern development and comprises entrance hallway with good size storage cupboard, lounge with space for dining, double bedroom with built-in wardrobes. Modern bathroom and kitchen with appliances. Warmed by gas central heating the property also benefits from being double glazed with secure entry and resident parking space to rear, the property has hardwired smoke detectors, carbon monoxide detectors, one year gas safety certificate & five year electrical certificate. The kitchen comes with appliances and further items are available by negotiation offering an excellent buy-to-let or first time purchase opportunity, also being ground floor and central to local amenities could appeal to elderly/retired market. Ideally located convenient for easy access to all local amenities within the vibrant center of Prestwick. From our office on Prestwick Main Street proceed south and take the first right onto Kyle Street where Albyn Court is on your left opposite the Library, access is to the rear through the pend.